How would you describe advertising of this day and age in one word? Overwhelming? Over a hundred years ago, marketeers could choose to communicate messages through two main mediums – newspaper and radio (the first mass media form of communication that offered near real-time delivery). 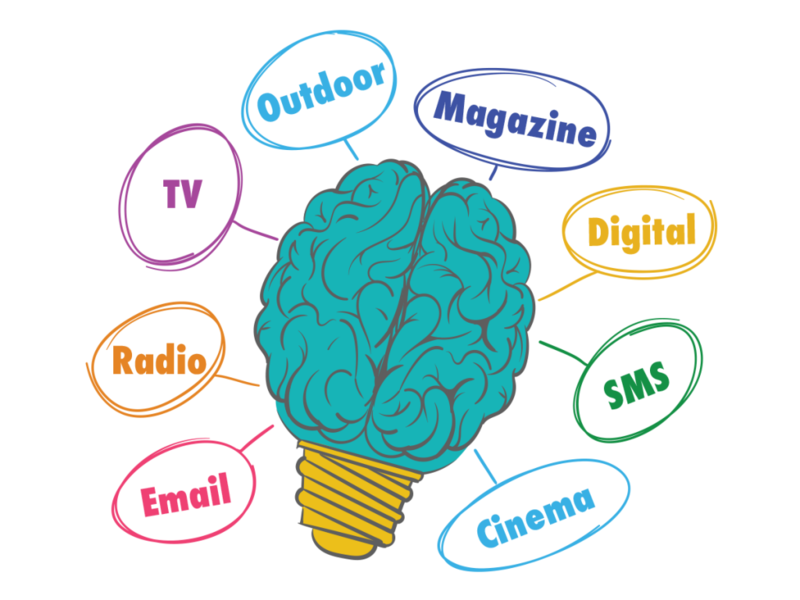 Today, there is an arsenal of channels available for marketeers to convey their message – newspaper, radio, magazine, television, digital and SMS, which has led to audiences becoming immune to relentless brand messaging. In April 2017, Procter and Gamble, one of the world’s largest advertisers, blasted the ad industry for overwhelming consumers with advertising. “There’s too much crap,” said P&G’s chief brand officer Marc Pritchard, in a speech to the American Association of Advertising Agencies – in a transcript seen by CNBC. “We bombard consumers with thousands of ads a day, subject them to endless load times, interrupt them with pop-ups and overpopulate their screens and feeds,” he said. With audiences tuning out as a result of advertising overload, how can brands effectively reach their target audience in this day and age? New research by MESH Experience – commissioned by SAWA, suggests that cinema is a powerful marketing platform, ideal for boosting brand influence. The study captured and analyzed over 4,500 brand experiences from more than 1200 people across 3 countries using MESH’s proprietary ‘Real-time Experience Tracking’ approach. The categories covered in the study comprise Automotive, Finance, Services, FMCG and Electronics. Participating organizations included National CineMedia (USA), Screenvision Media (USA), Cineplex Media (Canada), and Weischer Media (Germany). As context for this study, and pointed out by a recent Deloitte study, it is no longer enough for brands to simply communicate features and benefits because people want to understand more about the brand’s social purpose, particularly younger people. We also know that people are overloaded with information and this probably explains why in this MESH study we saw that more than a third of paid media messages are self-reported as making people feel “neutral” towards the brand. Consumer information overload is creating a challenge for brands wanting to convey more complex concepts to customers who are time-poor with less attention to give. The study conducted by MESH Experience discovered that the cinema environment delivers the greatest proportion of positive brand experiences vs. any other media with 2 out of 3 experiences being positive and virtually no negative experiences. Study participants who experienced brand messages in Cinema were 43% more likely to feel inspired to find out more about the brand vs. brand experiences with other media. 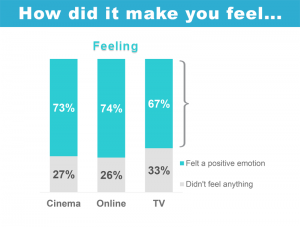 And the depth of a cinema brand experience makes people feel 50% more connected to others which can lead to conversation, and we see is a key driver of brand consideration. There is a direct relationship between building emotional connections and establishing brand recall value, and cinema advertising allows brands to craft concrete and solid brand images in the minds of their consumers. Creating brand recall is the crucial element required in pushing sales and driving revenue. 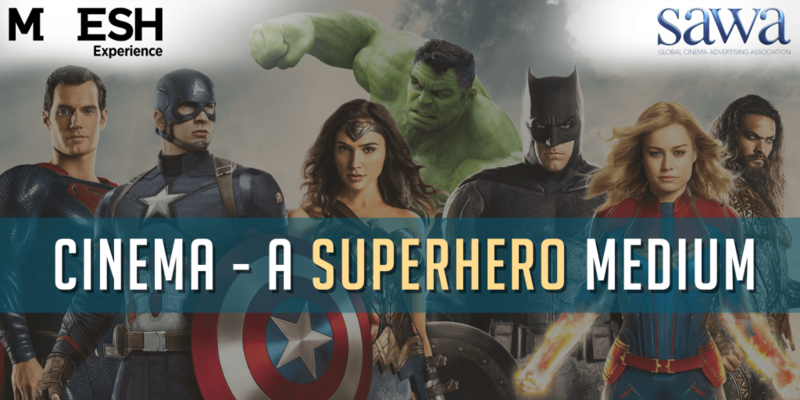 Cinema advertising allows brands to paint a picture on a larger canvas, deliver a story with a louder voice, and communicate a message with more focused attention – all of which combine to make it the only Superhero among all advertising mediums. As a result of these initial findings, a second phase is already in the works for 2019.